The year is just getting started, but there’s a lot to report. Check out the highlights covering January 1–15, 2019. NYC DOB and DDC to Address Design Professionals on October 19th at NYC Design Professionals Day. On Friday October 19th, the New York City Department of Buildings (DOB) will provide several presentations to inform design professionals and the construction industry about important design considerations and about conducting inspections in the City, as well as about the recent initiatives by the department. The event will be held at the NYU Tandon School of Engineering (NYU-Poly), Pfizer Auditorium, 5 Metrotech Center, Brooklyn, NY 11201. For more information and to RSVP to the event CLICK HERE. The full day event will begin with a keynote speech by DOB’s First Deputy Commissioner Thomas Fariello R.A., who will discuss recent developments and an update on the online filing system being implemented by the department. DOB’s Chief Structural Engineer Dan Eschenasy, PE, F.SEI, SECB, will provide an overview of post fire structural investigations by design professionals (1 PDH). Chief of DOB’s Forensic Engineering Unit, Tim Lynch PE, will discuss Building Typology and NYC’s building classifications system (1 PDH) as well as lessons from the recent damage assessments in Puerto Rico (1 PDH). In addition, DOB’s Director of Sustainability Enforcement, Holly Savoia PE will discuss TR-8 energy progress inspections conducted by design professionals in New York City (1 PDH). In addition, the Deputy Commissioner of the NYC Department of Design & Construction (DDC) Eric Macfarlane, PE, M.ASCE, will provide an overview of New York City’s efforts to engineer sustainability and resiliency in the face of Global warming and associated sea level rise projection and extreme weather events (1 PDH). Mr. Macfarlane will discuss NYC’s emissions reduction efforts to date and NYC’s Roadmap to 80% GHG reduction by 2050. Also discussed will be a few DDC projects and case studies related to sustainability and resiliency and 80X20 efforts to preserve and improve the quality of life for NYC residents. For more information and to RSVP to the event use the following link: RSVP to Event. The presentation by DOB’s Director of Sustainability Enforcement, Holly Savoia PE will include a discussion on changes in the energy code and the continually evolving knowledge base of design professionals in an effort to improve energy performance and sustainable building practices in construction. Strong enforcement and education are a necessary component of this effort, and TR-8 progress inspectors play a crucial part in the bridge between the design phase and construction. The presentation will identify the resources available to design professionals for the conduct of progress inspections with respect to the energy code, the administration process to be followed, lessons learned by the Department of Buildings during a recent pilot study of alteration projects, a discussion of challenges, and what is coming up on the horizon. 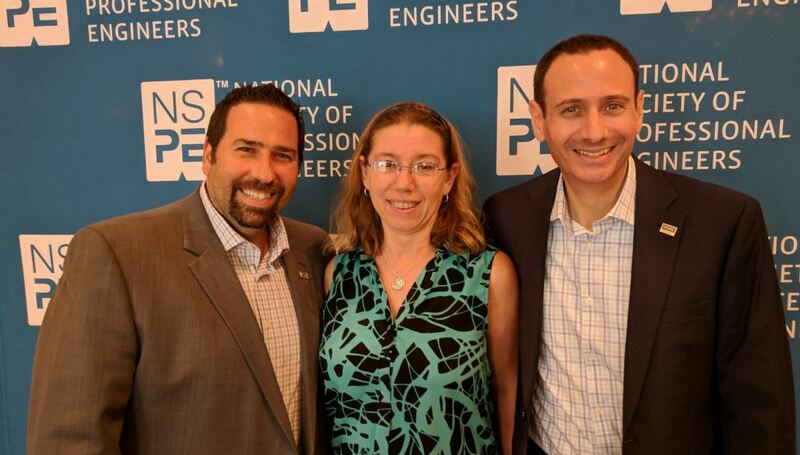 From July 18–22 in Las Vegas, at Caesars Palace, NSPE members enjoyed an exciting week full of exceptional education programs, speakers, and great networking. This year NYSSPE had 7 members attend the conference. 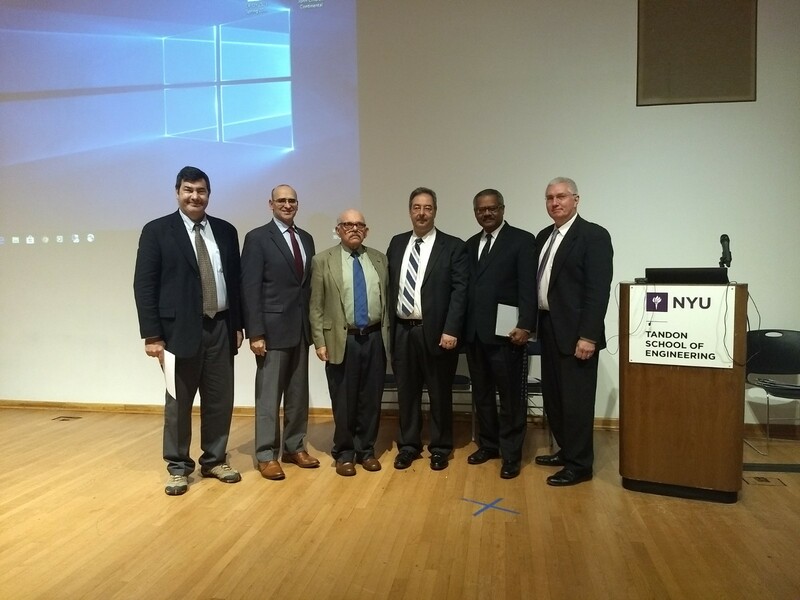 Joe Pasaturo, PE, Nikhil Bodhankar, PE, Laura Pellizzi, PE, Rudi Sherbanksy, PE, Andrew Yarmus, PE and David Janover, PE (a prior NY’er who has now relocated to Arizona) represented NYSSPE. Marty Gordon from NAFE (and also an NYSSPE member) was also in attendance. 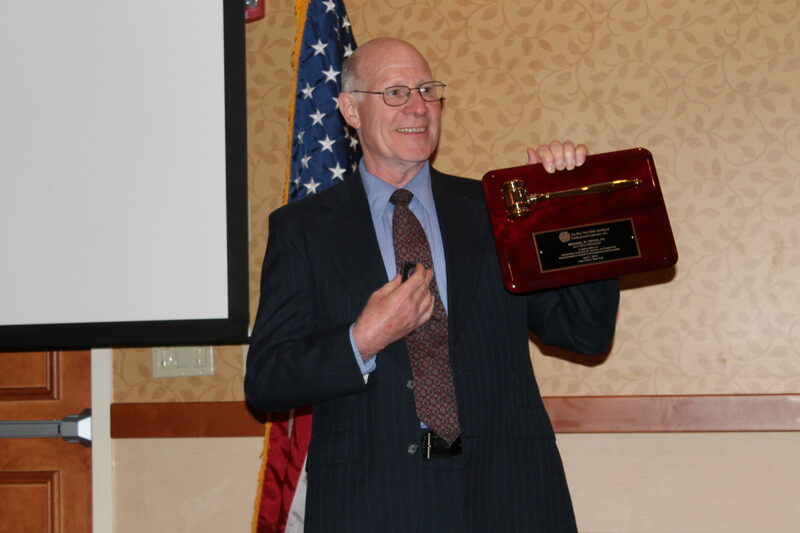 Andrew Yarmus, PE chaired the last NSPE PEC meeting of his term as chair, represented NSPE PEC at the House of Delegates, and was acknowledged as a member of this year’s class of Fellows. Laura Pellizzi, PE was appointed as NE Region Candidate Screening Committee representative and represented NY at the House of Delegates (report to come). 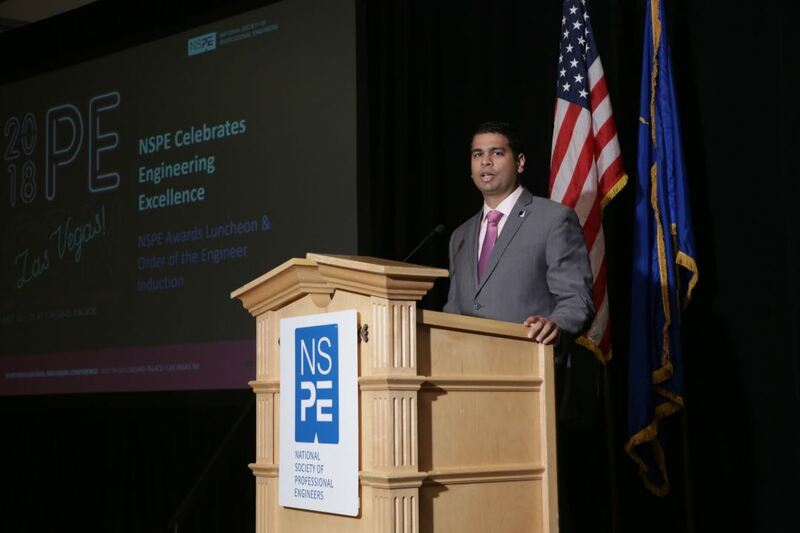 Nikhil Bodhankar, PE, of course, was acknowledged as NSPE’s Young Engineer of the Year. The new 2018–19 Board of Directors has been installed—a talented group to lead NSPE into the future. NSPE has a new app! The NSPE App houses multiple conference events within one app. You only need to download one app to access an archive of conference events at the palm of your hands. Download the NSPE App to stay up to date with the latest event news and the full conference schedule. Explore exciting features to keep you engaged throughout the event, including interactive maps, session and speaker profiles, and much more. Images courtesy of NSPE and Christie’s Photographic Studios. Firestopping, is becoming more and more of a hot button item these days. Why is that? Because of its extreme importance in fire resistive floors and walls. Firestopping is the use of materials for building; such as ducts, pipes, etc. that prevent flames, heat and gases from spreading through penetrations of ceilings, walls and floors to restore its full fire rating. Not only do many buildings not have the proper firestop systems installed, but we are finding that it is inexperienced workers from each trade installing the firestop systems, leaving their walls, joints, ceilings, etc. exposed and at great risk. When a building is at risk, people’s lives are at risk of injury and fatality, that could lead to litigation for your company. To reduce this liability the NYC Department of Buildings has recently required firestop special inspections according to the new ASTM firestop inspection standards. You can make the 2018 Building Safety Month a huge hit in your jurisdiction with a proclamation. Scheduling a signing event with a mayor, a city council or a county commission is fairly simple. Just download a 2018 Building Safety Month proclamation (for free), and edit it with the name of the signer and the jurisdiction involved. Then, make the arrangement for a presentation on Building Safety Month, show this video and end it with the proclamation signing. For your office, you can also download (for free) the official 2018 Building Safety Month poster which you can copy and tape throughout the office. If you’d like to make a presentation to schools, you can download (for free) the official Building Safety Month Activity Book for Kids and hand them out. The activity book features color pages, crossword puzzle, word search, junior code official certificate and more. Great to hand out from the building department counter or at school assemblies. For just $8, you can order a roll of 100 Junior ICC Building Safety Inspector badges. There are even two (free) downloads on how to conduct Building Safety Month events! Need a handout? Download the (free) Building Safety Month information brochure. There are other items for free or for purchase to help celebrate Building Safety Month in May and to raise the profile of code officials and the great service they provide to communities. Here’s the link. The NYSSPE Annual conference is a cost effective way to obtain up to 7 PDHs, as well as a great way to network with other Professionals! Attendees will also have access to our exhibitors who will be showcasing great products that can help your career and business. About 4 years ago, at the New York Society of Professional Engineers (NYSSPE), we decided that we needed to create a way for New York City design professionals to interact with the NYC Department of Buildings (DOB). A way that would help these professionals stay up to date on the latest codes, and also meet and ask questions of DOB officials including Commissioner Rick Chandler, P.E. Commissioner Chandler also spoke for the fourth straight year at the event. 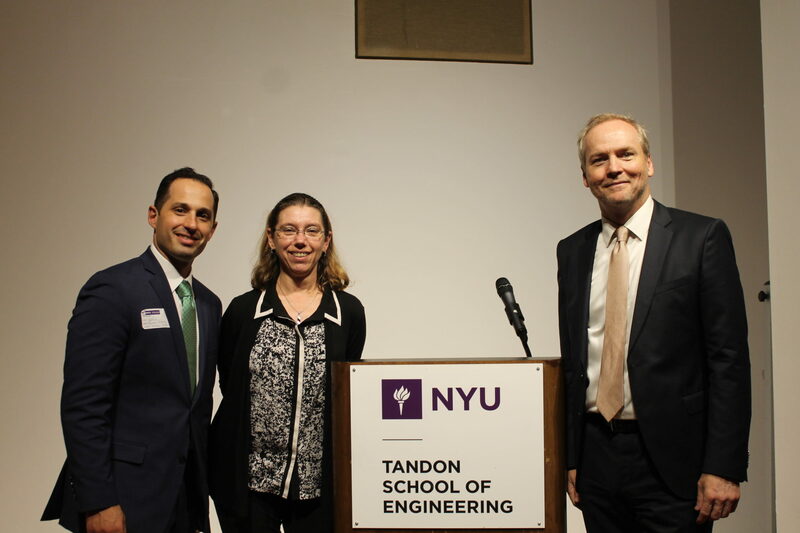 The Commissioner focused his remarks on the importance of safety on construction sites. He mentioned legislation passed recently by the City Council mandating safety training for everyone who steps foot on a construction site. This is a message that we all need to hear repeatedly. With sadness, The New York State Society of Professional Engineers (NYSSPE) has learned of the passing of Michael Hayes, PE. Michael served as NYSSPE’s 2012-2013 State President. He also served on the Foundation for Engineering Educations (FEE) Board of Directors from 2015-2017. Michael Roy Hayes was born in Syracuse, New York to Frederick and Ruth Hayes. Upon graduation from Central Technical High school, he enrolled in Syracuse University (SU) and completed the Electrical Engineering program. While at SU, he also joined and completed the United States Air Force (USAF) ROTC. He then served in the USAF for twenty years as a civil engineer and enjoyed traveling widely in Europe, Asia and the USA. He retired as Major and then began a second career as a civilian Electrical Engineer. He worked for Maniktala Associates, C & S Engineering and, briefly, IDP Engineering. It also gave him great pleasure to work for H & R Block and then Total Financial Services as a tax preparer. He reached the level of Enrolled Agent before retiring as a preparer. He loved running, Bridge and all things computer related. He is survived by his wife, Cynthia, and sisters Sharon, (Bill) LaRouche and Nancy Hayes and numerous beloved nieces and nephews.